This has to be the easiest dish I have made in a long time! Oh man! I'm going to try this asap! 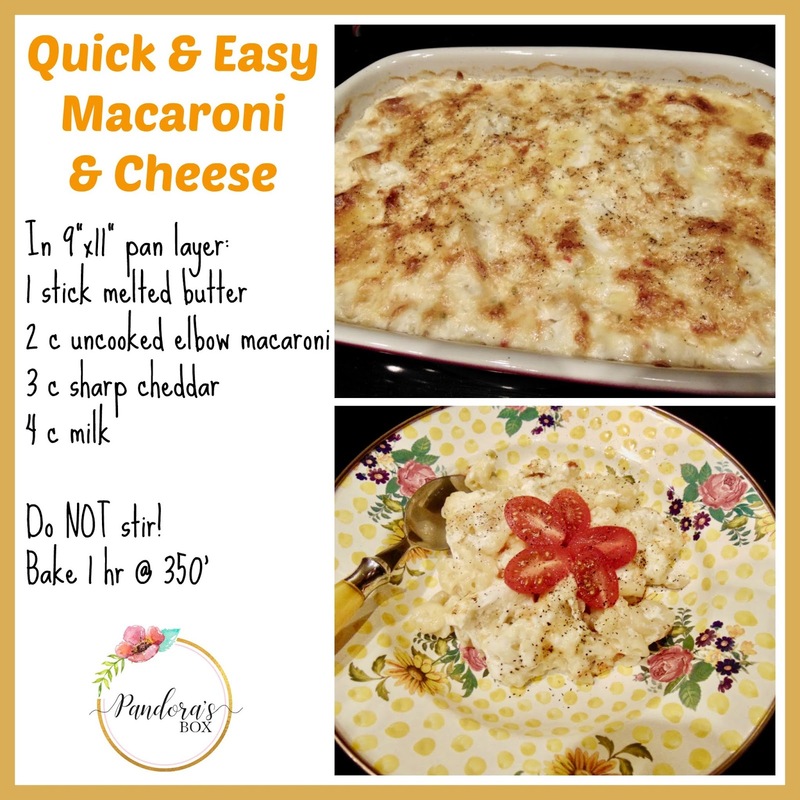 The hubster and I love mac & cheese...and I love the easiness of this recipe! Going to have to make some! Also, I received the syrups!! YUM!!!! Thank you so much! Love and hugs! I making this, Patti. I have a granddaughter that loves Mac and Cheese (well, who doesn't!?). What an easy recipe and I love that the pasta cooks while baking! Thank you for sharing.